VibrantWords Translations has recently turned one, which has made me reflect quite a lot and look back on this incredible year, my first as a freelancer and full-time translator after a decade as a language teacher. The road has been windy, and it still is, for one year isn’t long enough to be fully established. But it’s also been an exciting learning experience. 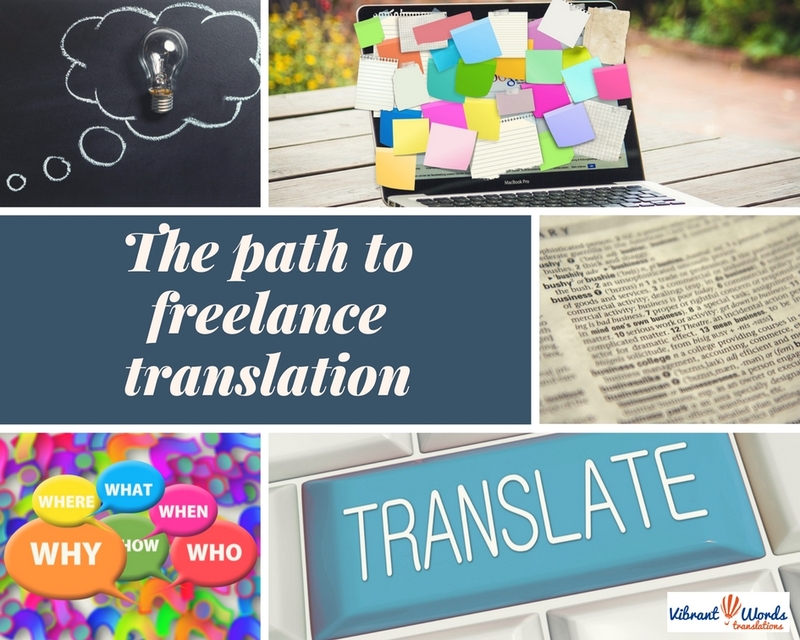 Looking at the notes I’ve been taking throughout the process, I decided to write a series of practical posts about the steps I’ve taken to become a freelance translator in the hope of helping those thinking about doing the same – whether they have previous experience or not. I’ve found so much useful information out there, often times completely free, that I feel it is my turn to give back. What I discuss here is based on my own experience becoming a freelancer in the UK, so some things won’t apply to other people, let alone to other countries. Many of the aspects I’ll discuss in this series of posts are my personal viewpoints. If you would like to add something useful from your own experience, by all means do so! You can comment below. Ready for take-off? Let’s go! 1) Passion: This is only the first point and you’re already confused, right? Don’t be. Passion for translation and love of languages are key to succeed. Every translator, interpreter, proofreader, and editor seems very enthusiastic about their job, which is less common in other sectors. Why is that? Unfortunately, we often have to deal with scarce professional recognition (our names tend to be wiped out from our work), low rates (not always, of course! ), no state benefits (unemployment, medical leave), and unpaid holiday. What’s not to love? When someone decides to become a freelance translator knowing all this, there’s only one reason: they absolutely adore the job! No two days are the same in the life of a translator, and you always go to bed having learned something new. 2) Qualifications: In the UK, most translators hold a BA in foreign languages and an MA in Translation, but given the lack of regulations in the sector, there is no shortage of paths to become one. A background in languages is desirable, although it doesn’t have to be a degree. The circumstances in which a language is learned vary greatly. 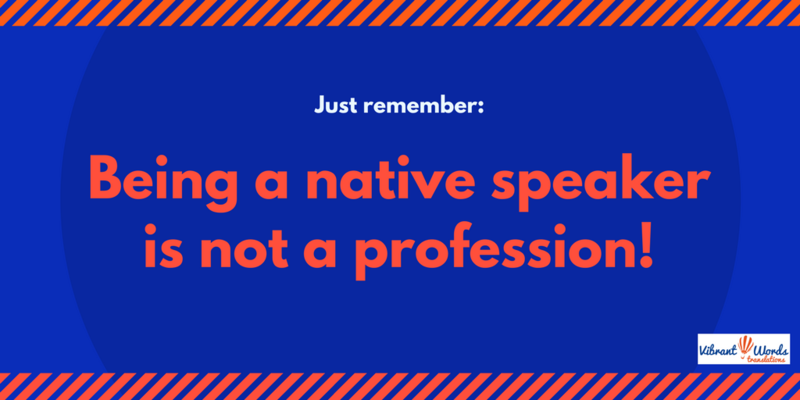 However, and despite what most people outside the sector think, speaking several languages – even being bilingual – isn’t enough to become a translator. If you already have an academic qualification on languages – or in any other subject – and don’t want to embark on a translation master’s program, go for a professional qualification. In my case, my background was in languages: BA in English combined with French courses here and there, and an MA in Linguistics and TESOL (Teaching English to Speakers of Other Languages). This is why I went directly for a professional qualification: the Diploma in Translation – DipTrans – by the Chartered Institute of Linguists (CIOL). This helped confirm my knowledge and capabilities to translate professionally. The ITI – the UK’s Institute of Translation and Interpreting – also offers an exam to become a qualified member (MITI) and prove your work matches professional standards. According to what I’ve read, if you have no qualification whatsoever on translation, many agencies will still accept your application provided you have provable experience as a professional translator. Even so, I think you’d be better off with a diploma to back you up. It can only makes things easier. 3) Professional associations: These play a key role in the UK, and to the best of my knowledge, in many other countries, too. In a professional landscape devoid of regulations, these bodies try to make up by means of diplomas (eg DipTrans), memberships, and by promoting professional development. The CIOL offers chartership to its members in an attempt to equal the status of linguists to that of other professionals – accountants or architects, to mention just two. I joined the CIOL in order to take the DipTrans, and I must say that the feeling of belonging I get every time I attend an event or receive an email is worthwhile. As freelancers, we spend most of our working time at home, alone, and it can be hard. Also, belonging to a professional association tells your clients you take your job seriously. The ITI has even put together the guide Getting it Right, which contains fantastic advice for those in need of translation services who have no idea where to start. This can be forwarded to potential clients so they see the importance of hiring a professional. Asetrad offers the Spanish equivalent. 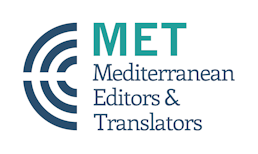 I am also a member of the ITI’s London Regional Group (LRG) and MET (Mediterranean Translators and Editors), through which I attend events, access journals, etc. Even if you don’t have enough experience to become a full member yet, have a look at their websites. They are very good at integrating students and early career professionals for lower fees. Wherever you’re based, find the local associations and find out how you can join. In the USA, the ATA (American Translators Association) is the one you want to belong to, and in Spain, Asetrad is the main one. Although these aren’t professional associations per se, it’s worth creating profiles on these two sites: ProZ and Translators’ Café. Basic membership is free and they have forums with all types of discussions, you can set job alerts, and their communities are pretty vibrant in general. It’s also helpful to boost your online visibility and appear in translators’ directories, both of which are also advantages of belonging to a professional association. 4) Red tape: I love this English term, although my favourite way to express this necessary, although unpleasant, step is the German word der Papierkrieg (literally ‘the paper war’). In the UK’s defence I must say that bureaucracy has been surprisingly easy, at least compared to my experience registering as a freelancer in Germany, or what I’ve heard about Spain. I find the HMRC website very helpful and easy to navigate – for a government website, anyway. When it comes to signing up as a freelance translator, there are two options: a) registering as a sole trader with your full name, which also allows you to use a business name (VibrantWords Translations in my case); or 2) registering as a company (the name you choose + Ltd.). I chose the first option, which provided me with a UTR (Unique Tax Reference), the number you’ll need to complete your self-assessment, among other things. VAT registration is another decision you need to make, and it depends on how much you’re planning to earn, among other things. I am not VAT registered, and so far, I haven’t had any problem. 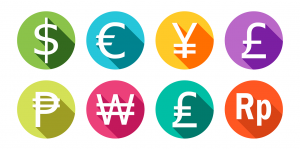 An advantage of freelancing in the UK, as opposed to other countries like Spain or Germany, is that the monthly fees amount to whatever National Insurance rates you have to pay, which at least in my case are really low. In contrast, sole traders in Spain (autónomos) must pay a fee regardless of income, and in Germany I had to pay a few hundred euros a month for health insurance, so a big hooray for the UK! As a sole trader, you have to complete a self-assessment at the end of the tax year – which ends on 5 April in the UK. The deadline is 30 January of the following year, so for example, the self-assessment for the tax year 2017-2018 must be completed by 30 January 2019. I have already done it using the HMRC website and I have found it easier than in all the other countries where I’ve had to deal with tax declaration. However, I foresee outsourcing this tedious job to an accountant once I get busier and things start to get more complicated. That’s what I’ve heard from other colleagues, too. What I did, and would advise the same to you, is make an appointment with an accountant to discuss all the issues I had been wondering about. It isn’t cheap, but it is worth it – and tax-deductible as a business expense. Write down a long list of questions so you make the most of your appointment. If you can’t come up with specific questions, ask them to guide you through the whole process. Including all registration, self-assessment, etc. Indemnity insurance is something to consider, especially if you work in legal, medical or financial translation. Members of professional associations usually get special rates with specific insurance companies. I looked into it but haven’t bought any yet. I’ve never heard of any translator who needed to use theirs, but you know, it’s like your car insurance: you hope you never have to use it, but having the little slip in the glove compartment helps you sleep at night. Where money is concerned, both expenses and income, a separate bank account is a must. Having a debit or credit card for business expenses will be easier than trying to figure out what the different charges are in your personal account: was that the weekly groceries or a course I took last month? Figuring out this kind of thing is time-consuming and frustrating. It’s better to put your efforts somewhere else! That’s enough for today. Next time I’ll discuss volunteering, the importance of keeping records, and more serious business-oriented stuff, among others tips. 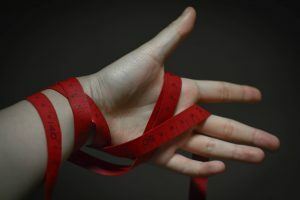 So, how does the red tape in your country compare to the UK’s? Is it more complex to become a freelancer where you live? What associations do you belong to? Did you follow a completely different path to professional translation? Comment below!